By default a new capsule created has its Sliding Panel enabled to the left. 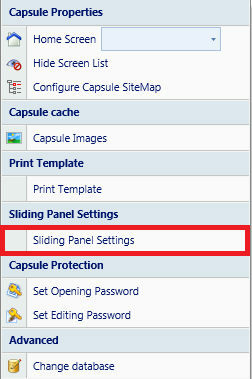 In order to deactivate it the user should navigate into capsule properties and click on "Sliding Panel Settings"
Here you can choose which tabs will be shown or hidden in the capsule's Sliding Panel. 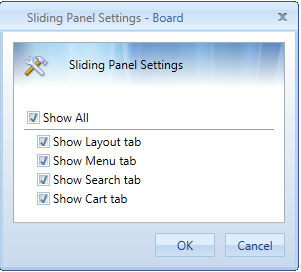 The Sliding Panel Settings is a property of the capsule therefore you may enable access to the tabs differently on each Capsule..